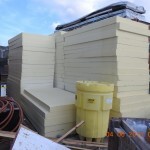 We have been asked to help sell this load of EPS 39 foam that is used in concrete construction situations. 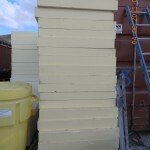 The owners paid over $60,000 plus freight for this material. They are looking for offers. FOB Virginia. Available at the end of June. There are 395 sheets of 5” and 296 sheets of 6” and some 2” Sheets are 4’ x 8’ – we never actually used it. 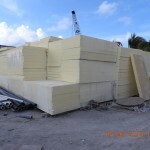 This foam was manufactured by the Insulfoam Company.